What is the John M. Kriner II Lodge? The Juniata Valley Council, Boy Scouts of America is the sole provider of Scouting programs partnering with over 75 community organizations to serve over 1,200 youth in Centre, Huntingdon, Juniata, and Mifflin counties of Central Pennsylvania and has an operating budget of $720,000. Seven Mountains Scout Camp is our year-round outdoor education and recreational center, annually hosting more than 15,000 Scouts, volunteer leaders, parents and community organizations. To meet the demands of increased usage over the past ten years we must upgrade and expand functional, and accessible sleeping accommodations, restroom facilities, and meeting space. John M. Kriner II always had a warm smile, welcoming arms, and was an inspiration to all who met him. A 1979 graduate of State College Area High School, he received certification from Centre County Vocational Technical School and Hiram G. Andrews Technical School. 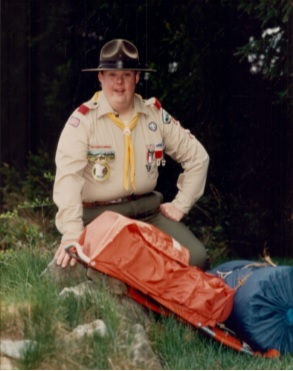 John attended four BSA National Jamborees and served as a Staff member for two National Scout Jamborees. In addition to Scouting, John was an active member of the Grace Lutheran Church where he served as an usher, greeter and a member of Disciples Sunday School Class and an Honorary Member of PSU Alpha Phi Omega. He was also a state Special Olympic gold, silver, and bronze medalist winner in swimming competitions. The John M. Kriner II Lodge is a multi-level/multi-purpose facility to be located at the former Pioneer Cabin site just off the banks of our lake at Seven Mountains Scout Canp. The Lodge will be ideal for large and small Cub Scout Packs, Scout BSA Troops, Venture Crew and community organizations. 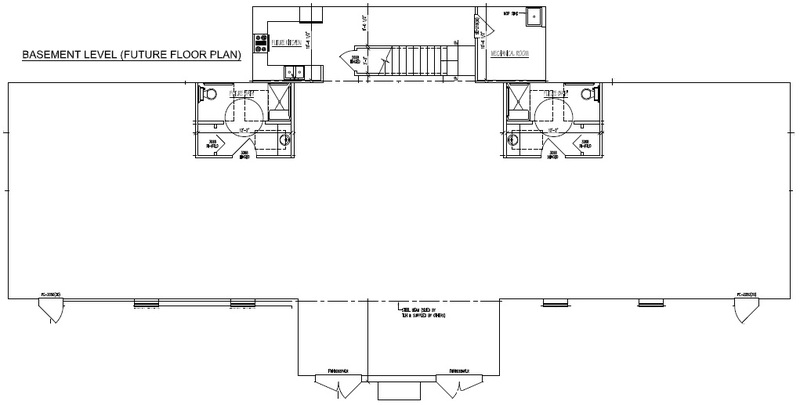 The upper level features ten sleeping rooms (five each wing) - bunked for six peopke. Accessible restroms and shower rooms are on each wing. The layout is ideal seperate sleeping facilities for youth male,/female, adult male/female. Two complete kitchens are also located on the upper level, as is a great room and fireplace. The Thomas and Mary Jane Kistler Family Deck (wrap around) will provide those using the Lodge tio enjoy the beauty of the camp, the lake and a start lit night. The Lodge and Conference Center will provide outstanding meeting, retreat, and training space for both youth and adult events for Scouting on the local, Area, Regional, and National levels as well as for local community and religious organizations. In addition to their generous lead gift for the lodge, John and Betta Kriner, have established an endowment fund for maintenance of the lodge throughout it’s lifetime. 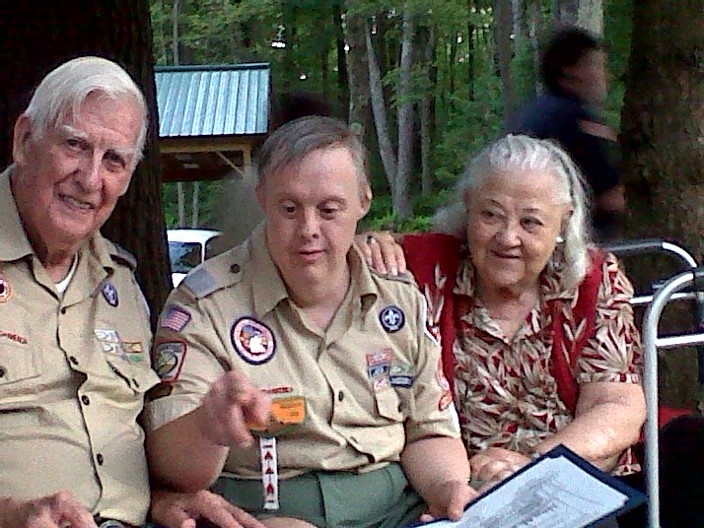 This vision ensures that the lodge will remain a tribute to John Kriner II, those who helped fund it and serve all Scouts, volunteers, and community organizations who share John’s passion of making Scouting and our camp accessible to every one regardless of the ability or challenge. Gifts to support the John M. Kriner II Lodge at Seven Mountains Scout Camp may be tax deductable. Please contact your financial advisor for specific information. The Juniata Valley Council, BSA is licensed by the Commonwealth of Pennsylvania Bureau of Charitable Organizations and is a 501(c)3 organization. Direct Contributions - Gifts of cash, check, cretit card should be directeed to the Juniata Valley Council, BSA. 9 Taylor Drive, Reedsville, PA 17084. Gifts of Stock or Appreciable Assets - Please contact Jim Kennedy at the Juniata Valley Council Service Center or at jim.kennedy@scouting.org for transfer information.